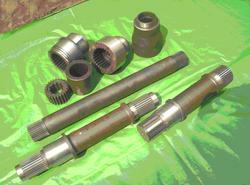 We are the manufacturer of Gear Shaft Spline according to international standard. we manufacturer best quality spline shafts. This product is tested on various parameters as per the pre-defined company standards and can be availed in various designs and sizes from us. Our products are used in different industries and are having various quality characteristics. 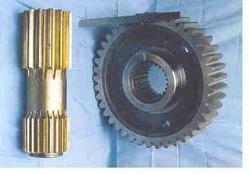 We offer a wide range of Spur Gear. Our spur gears are designed to operate on parallel shafts to transmit motion and power. We offer the largest selection of spur gears in industry today. To suit the varied requirements of the clients, these are available in customized options. We are one of the leading manufacture of Bevel Gears. 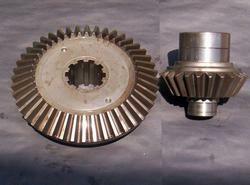 The teeth on bevel gears can be straight, spiral or bevel. 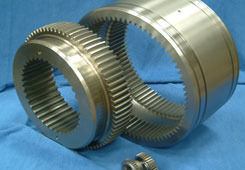 The bevel gears are made of alloy steels suitably heat treated. 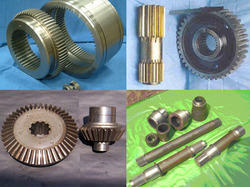 These gears are manufactured using steel and that are strictly checked by our efficient quality controllers. These products are manufactured with the assistance of experts and professionals by making use of premium grade raw material. We design and fabricate an extensive range of Mechanical Gear & Gear Boxes that are fabricated implementing latest technology methodologies. With unique designs and rugged built, these find abundant applications in Sugar, Cement, Paper, Rubber, Solvent Extraction and several other industries. it is reliable power transmission with uniform motion. Coupling mainly comprises two hubs with external machine-cut teeth od speciality designed configuration.two flanged sleeves with internal teeth to match the two hubs and a set of machine finished fasteners to both the two flanged Sleeves when in installed position.Specially designed sealing arrangement is provided to to prevent leakage of grease and ingress of outside diirt/water. We manufacture and supply wide range of Gear Coupling to our clients. We endeavor for success in satisfying clients therefore we manufacture high quality products. 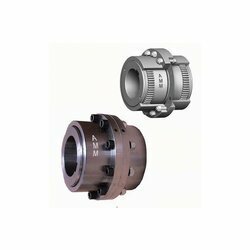 A good quality coupling offers best fit with various manufacturing tools. Furthermore, these can automatically carry out compensation for the misalignment of connected shafts, with zero loss of transmission power during operation. Looking for Gear & Gear Boxes ?